You are going to Watch Naruto Shippuden Episode 267 English subbed online free episodes with HQ / high quality. 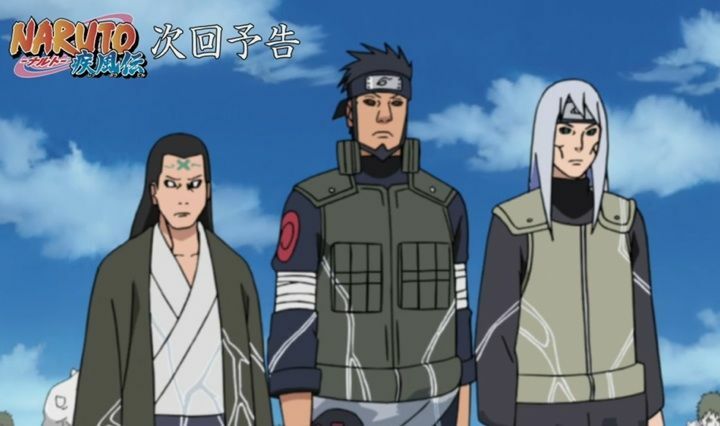 Stream Anime Naruto Shippuden Episode 267 Online English sub The Brilliant Military Advisor of the Hidden Leaf. The Second Tsuchikage Mu, under Kabuto’s control, summons the previous Kages. As Mu and the Second Mizukage argue about their previous duel, Gaara surveys them and surprised as he sees his father, the Fourth Kazekage. Meanwhile at the coastline, Darui’s division anticipates the arrival of White Zetsu troops as well as resurrected ninjas such as Kakuzu, Hyuga Hizashi which brings Hiashi to a shock, and the Gold and Silver Brothers Kinkaku and Ginkaku. At the headquarters, Nara Shikaku discusses his strategy in outgunning the White Zetsu troops and the Undead ninjas. As the current Kages became impressed on Shikaku’s plan, they also warn about Mu being a Kekkei Tota or Bloodline Selection user that utilizes three chakra natures at the same time. Onoki decides to join Gaara’s division to counter Mu.